Never used a fabric poster? These prices include free 2-day delivery. You can always take advantage of $20 off for every additional poster placed in the same order. If you are running late, feel free to contact us. We process all orders without rush charges. If our work flow permits, we may print your order even after the cutoff time. Valid for continental United States and Canada. Add +1 day if shipped to Europe. Contact us for worldwide delivery schedule. Add one more day to the estimated arrival if a holiday is encountered. Available for all U.S. states except AK and HI. Contact us for available same-day delivery locations. Printing posters on fabric for easy carry is the future. PosterSmith was created to do this one thing and do it best. It is this clear focus that shapes our expertise. 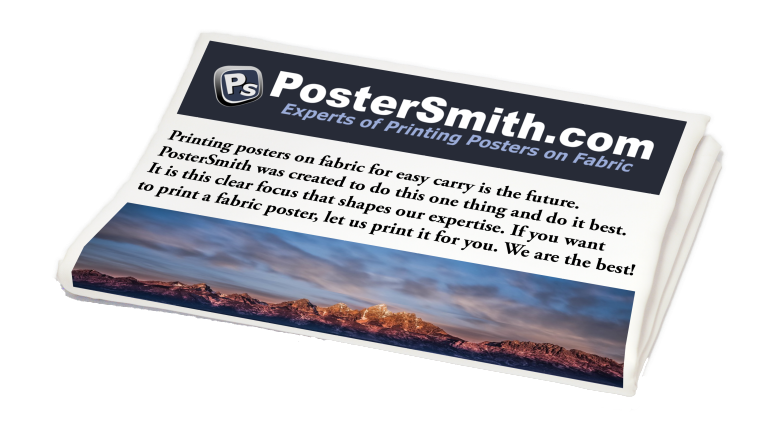 If you want to print a fabric poster, let us print it for you. We are the best! We know how important your poster presentation is to you and that there is no room for error. We understand how much time you have invested and you want a great-looking poster to present your research! We got you covered. We offer better prices than local printing shops and other online poster printing companies. No rush charges and no hidden fees. 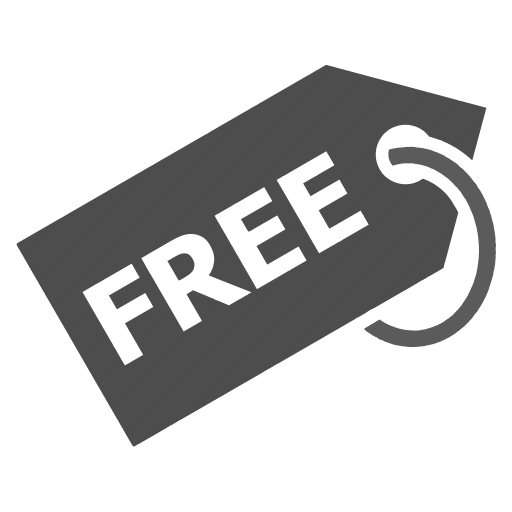 Free FedEx or UPS 2-day shipping is included with all orders. Same-day delivery is available upon request. We print posters in the same day that we receive the orders, and we are serious about our commitment of 2-day delivery. 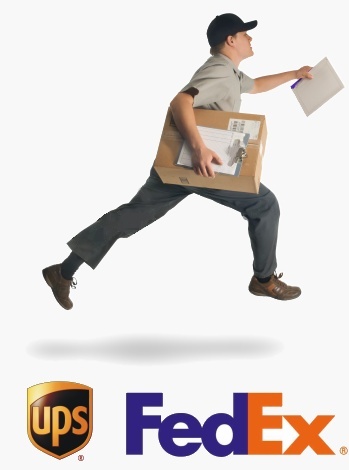 If you need same-day or next-day delivery to catch your deadline, contact us for available locations. If, by chance, a shipping issue occurs with our shipping services provider, we'll mobilize our network and resources to make sure you get your posters in time. We understand its importance, and we are committed to deliver the poster to you. If you are coordinating a poster session or organizing the poster printing for your colleagues, you can take advantage of our special discounts. Contact us at support@postersmith.com for more details.